he SAM (Structural Aluminum Malleable) Splint is a compact, lightweight, highly versatile device designed for immobilizing bone and soft tissue injuries in emergency settings. It consists of a layer of .016 inches (0.41 mm) strips of soft aluminum, with a polyethylene closed-cell foam coating. 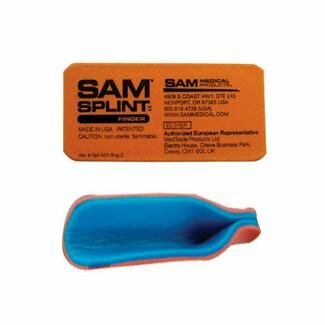 The SAM Splint was invented by Dr. Sam Scheinberg who, as a trauma surgeon during the Vietnam War, found that field medics generally ignored the splint then issued by the Army. He developed the idea while playing with a foil chewing gum wrapper. The device is often found in First Aid Kits, Emergency Medical Technician "jump kits," ambulances, and other similar settings. Generally supplied in a roll or as a flat strip up to 36 inches (91 cm) long and 4.25 inches (10.8 cm) wide, it can be unrolled or unfolded and formed to the shape of the injured person's body. Once folded into a curve, it becomes quite rigid and capable of immobilizing a number of different wounds, including the leg, forearm or humerus. Folded properly, it can also be used to stabilize the cervical spine. 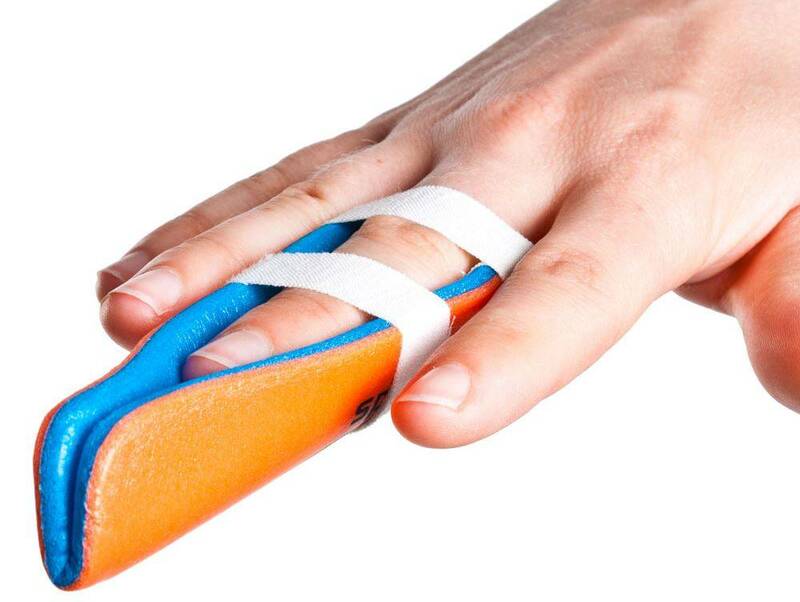 It can be easily cut with any scissors or shears, to make smaller devices such as finger splints. The SAM Splint is radiolucent meaning it does not interfere with X-Rays. They are used on board the International Space Station as a light weight compact splint, for this reason the acronym SAM is often said to refer to “Space Aviation Medicine”. After use, the SAM Splint can be cleaned, rerolled, and reused. Additional sizes include 18 inches (46 cm) length, 9 inches (23 cm) length, 1.8 inches (4.6 cm) by 3.75 inches (9.5 cm) finger splint, and extra large 5.5 inches (14 cm) width by 36 inches (91 cm) length.